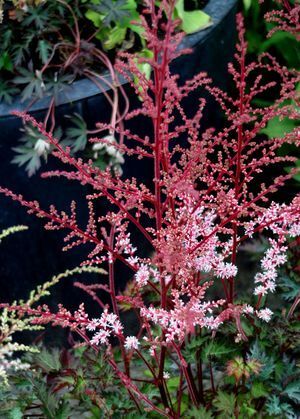 Features blue waxy foliage with a silver overlay accented by delicate salmon pink blossoms on strong red stems. An improvement over 'Peach Blossom'. Extremely attractive.